Vermont is known for its natural landscape and hospitable residents. This is your chance to help people hear clearly. Prepare for the hearing aid specialist licensing exam here in Vermont and start working as a qualified hearing aid specialist in less than 12 weeks. For a majority of people, hearing loss is a natural process as they age; but for others, it often results from overmedication, genetic factors, loud music, or a number of other external factors. Do you know a majority of hearing loss cases go unreported owing to lack of licensed hearing aid specialists? Become a hearing aid specialist to help people and enjoy a fulfilling career. James Denison, the only deaf delegate to attend the conference of Milan in 1880 was a native of Vermont. The conference of Milan is regarded as oral deaf education. Due to this conference, the National Association for the Deaf was founded in the United States. Hearing loss can affect any person belonging to any age group. It is the third most common ailment after arthritis and heart disease. For a person experiencing hearing loss, hearing aids come as a blessing. With the advancement of technology, companies are manufacturing almost invisible in-the-ear hearing aids. With nothing to be embarrassed of, more and more people are opting for the hearing aids. Investing in hearing aids is a significant investment in your health. To dispense hearing aids, companies are looking for licensed professionals. This is your chance to pass the hearing aid specialist licensing exam here in Vermont and start working as a licensed professional. Hearing aid specialists are in high demand as there are five job vacancies for every licensed professional. To prepare for the hearing aid specialist licensing exam here in Vermont, you can choose to enroll with an accredited university or opt for the 100% online program offered by the Hearing Aid Academy. At an accredited university, you need to leave your daytime job and spend approximately $48,000 on a two years course. But the Hearing Aid Academy’s online course gives you the freedom to learn according to your convenience. With a working internet connection and a laptop, you can study whenever you get time. Would you avoid reading glasses if you need them? Probably not. But people often choose to avoid visiting a hearing aid specialist as they don’t want to use bulky ugly looking hearing aids. So while some people are conscious of their appearance, others avoid hearing aids because of their high cost. As a licensed and qualified hearing aid specialist who has passed hearing aid specialist licensing exam here in Vermont, you will be responsible to serve a majority of people suffering from hearing loss. After a series of tests, assessments, and evaluation of the result, you will help the patients select a hearing aid that will help them hear clearly. Wondering how you can prepare for the hearing aid specialist licensing exam here in Vermont? The Hearing Aid Academy is a 100% online self-paced program that prepares you for the International Licensing Exam (ILE) administered by the International Hearing Society (IHS). Moreover, this specialized online training program can get you licensed within 3 to 6 months. The course payments start as low as $199 a month. This is just a fraction of what you need to spend to get admission at an accredited university. Moreover, with this online program, you can fast-track your education and start working as a licensed professional in less than 6 months. You are not required to leave your daytime job as you can study according to your convenience. You can schedule your day and study whenever you get time. We also have qualified instructors on board who make it easy for our students to clear their doubts. At Hearing Aid Academy, you are never alone. You always have an expert help whenever you feel stuck or whenever you are unable to understand a topic. This is the quickest way to get licensed. The Hearing Aid Academy was started in 2006 when a group of qualified hearing aid specialists got together. For more than a decade now, the academy has been helping students get access to fundamental knowledge to pass the hearing aid specialist licensing exam here in Vermont. There’s no need to leave your job or spend 2 years to become a graduate. You can prepare for the exam in about 12 weeks. This self-paced program can easily be completed as fast or as slow as you want. You can study anywhere in the world with a working internet connection and a laptop. Do you know Hearing aid Academy students who have passed the hearing aid specialist licensing exam here in Vermont are currently earning an average salary of $60,000 to $70,000? As HAS, you will be working daytime and have your weekends and holidays off. 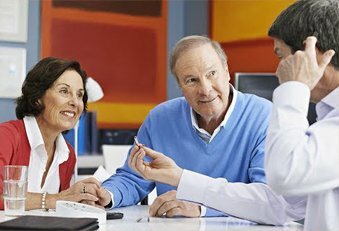 Moreover, for every pair of hearing aid that you sell, you can earn a profit of up to $1000. So by selling a few pairs, you can easily earn $10,000 every year. A career as a hearing aid specialist comes with great income potential and long-term stability. You now have the opportunity to learn and develop a skill that can transform your life and the way you support yourself and your family. What are you waiting for?